Our school uses a cursive (joined) writing scheme. 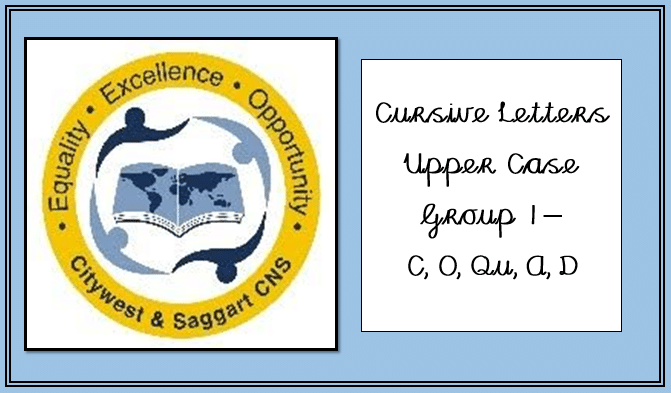 This style of writing is taught from the onset and it is envisaged that this writing style will continue throughout their primary school years at Citywest & Saggart CNS. 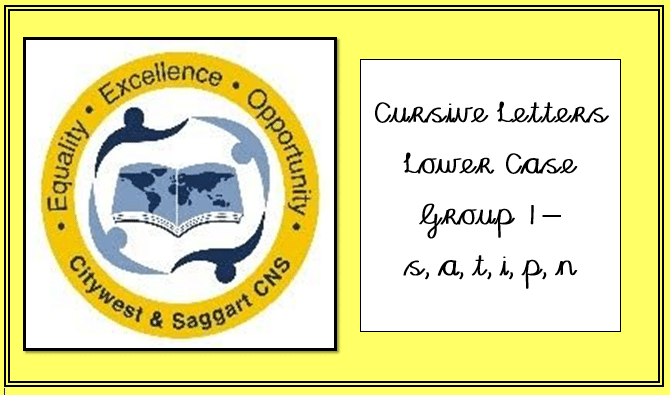 Some schools begin with a print style of writing and move to a cursive scheme mid way through the primary years. It makes more sense that children begin writing with a writing scheme that will not have to be changed later on in their schooling. According to research*, there are many advantages of using a cursive style. It assists left to right movement through each word. Concept of separate word is acquired. 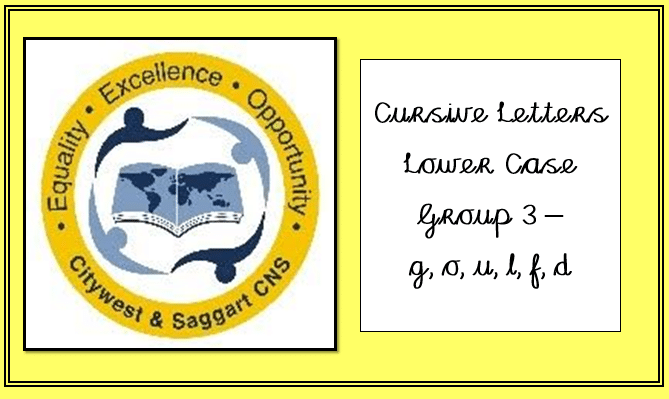 There is scope for revising patterns in pre-writing and directly associating them with correct letter formations. It helps to prevent the interspersing of capital letters among lower case letters. It helps letter formation since the ligatures lead naturally into the correct starting point. It helps to prevent confusion between letters, e.g. b and d.
The joining stroke makes a natural space between two letters. 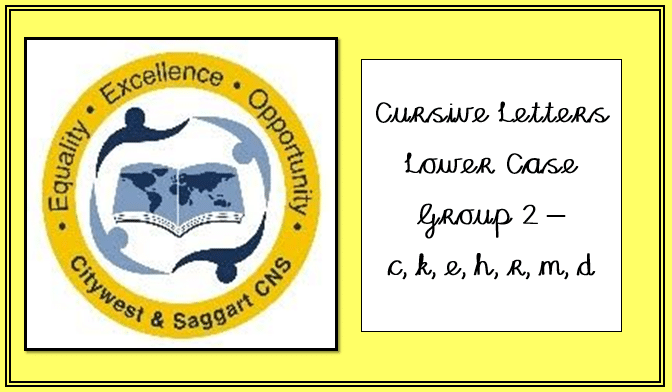 It should ultimately improve fluency and speed of the child’s writing and therefore help spelling.